A rare 18th. 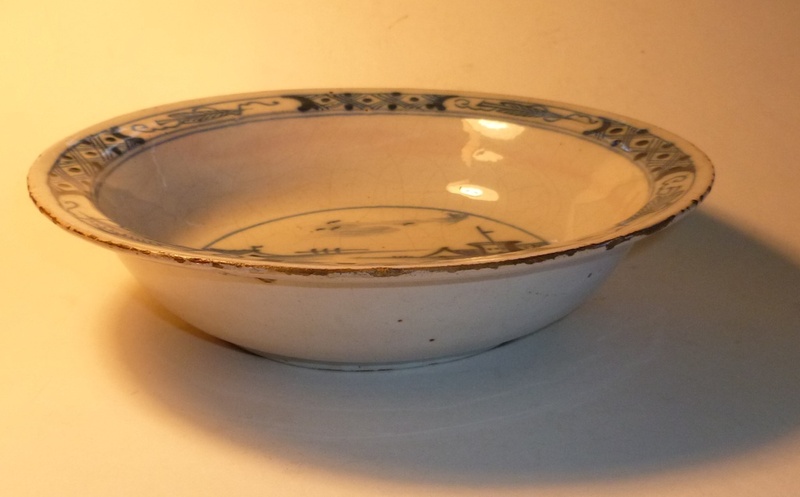 century Bristol delft bowl having a diameter of 22 cm and a height of 5.2 cm. 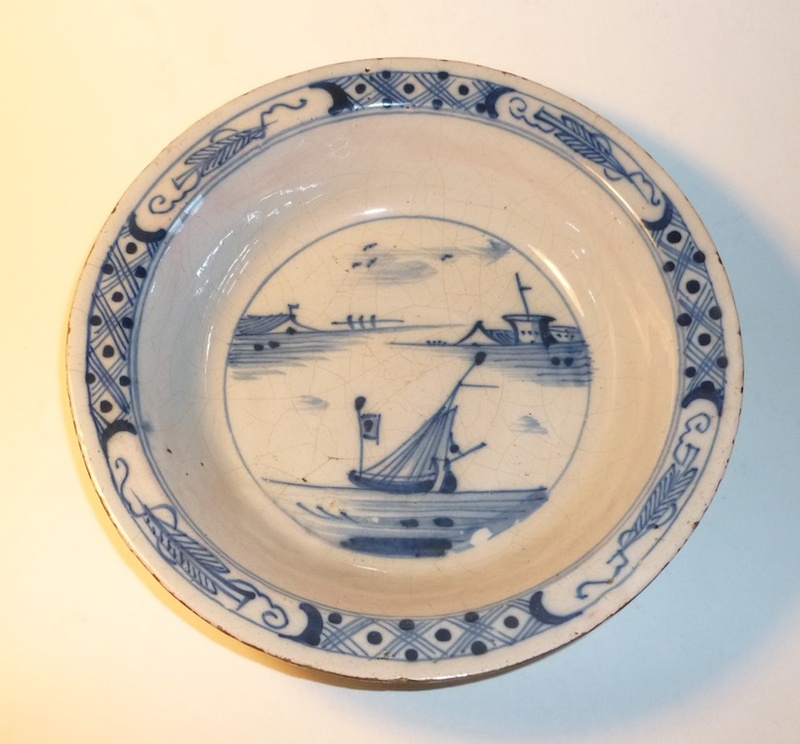 See Delftware in the Bristol Collection by Frank Britton page 185 for an identical edge decoration. 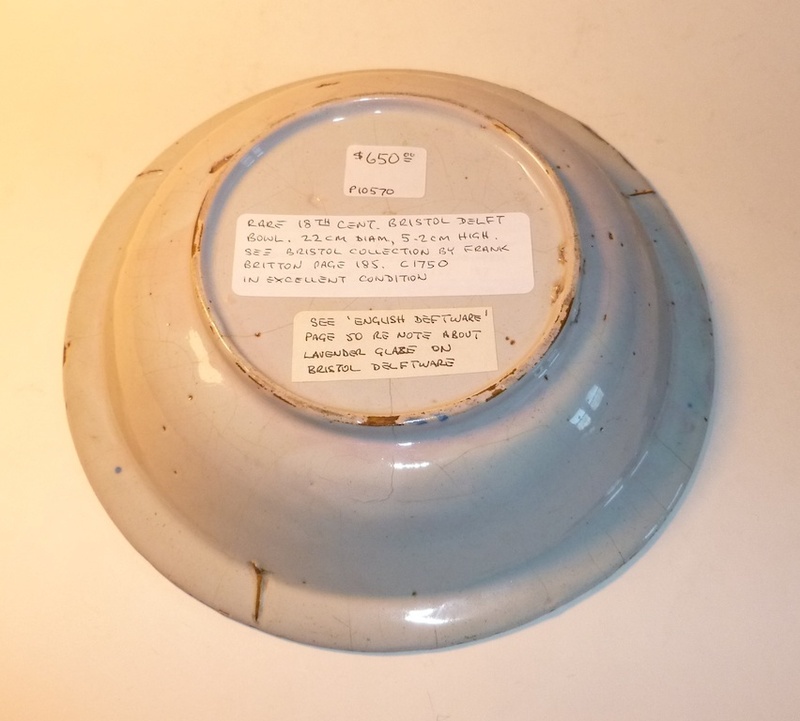 The bowl is in excellent condition with only minor edge fritting. c1750.